The atheist and evolutionist PZ Myers is not only "pro-choice", but he said he is "even willing to say" that he is pro-abortion. Myers' ugly assertion -- 'it's no big loss if it's flushed and incinerated...[t]here's no person -- demonstrates the New Atheist moral vacuum. New Atheists insist that there is no objective moral law; morality is nothing more than an evolved adaptation, or what each of us decides, ad nauseam. Yet if there is no objective moral law that transcends the individual will to power, then power, not justice nor mercy nor even love for one's own child, governs human conduct. Atheist morality boils down to this: '... because we can'. That has been the moral code of atheism in power for a century. 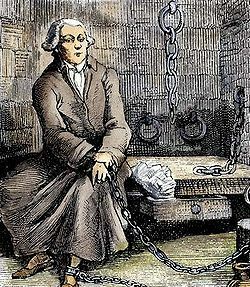 The perverse and cruel atheist Marquis de Sade was an early advocate of abortion in the Western World. In 2011, Myers wrote that when he sees dead baby pictures: "I look at them unflinchingly and see meat." “ What a tragic figure, what a deprivation of all that is human and humane, what a sad, sick and depraved soul: what a by product of atheism. Beautiful, healthy, innocent and defenseless human babies who were brutally murdered in unimaginably brutal and inhuman, inhumane, and subhuman manners are to be likened to rats, mice, dogs, and misc amputated body parts. In his reductionist eyes it is all merely temporarily animated meat. This page was last modified on 9 April 2019, at 13:49.